Suspected kidnap kingpin, Chukwudumeje George Onwuamadike, aka Evans, was allegedly arrested in 2006 for bank robbery. But a policewoman helped him evade justice. There was a gun duel between Evans and members of his gang at the National Theatre in Lagos, while sharing the loot from the operation. They started shooting themselves and many of the robbers died. He was seriously injured and abandoned by the others. 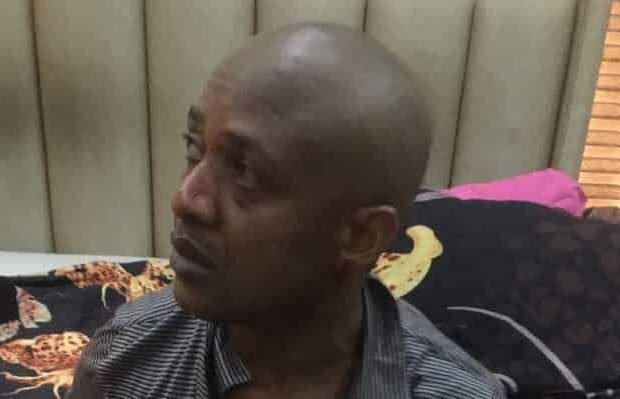 Evans recalls that he was arrested by the police, before he and two others were transferred to the Imo State Police Command, where they were released. “Evans was confronted with the interview on Sunday and he admitted that the bullet wounds are from disagreement over sharing of loot after bank robbery in Lagos in 2006. They shot one another and many gang members died while Evans survived with bullet wounds,” the officer in charge of the Inspector General of Police’ (IGP) Intelligence Response Team (IRT), Abba Kyari, an Assistant Commissioner of Police (ACP), said. A police source added: “The then divisional police officer of Iponri police station, Yahaya Bello, now a deputy commissioner of police, said there was a serious incident involving some persons who shot at one another. He said about three of them had been arrested,” the source said. “One of the members of the gang arrested then was Chukwudi Onwuamadike, popularly known as Evans. If you look at his chest, I cannot remember whether it is the right or left side, there is a scar. It was as a result of the gunshot from his gang members that day. “He bled and there was no way he could run away before the police came. The case was transferred to the Lagos state anti-robbery squad. We investigated and discovered that they were armed robbers. “Evans led the team. We also went to Mbidi police station, Imo state, to carry out an investigation on them. We were able to arrest two other members of the gang. We then had five of them in police custody. “There was a policewoman at the band section of the Police College, Lagos. She was known as Tina, a superintendent of police. She insisted that we should drop the case and that Onwuamadike (Evans) was her brother.